Learning to manage your grief after placing a child is not a single event. It is a process that may only be necessary for a short period of time, or it can be a lifelong endeavor. For most, it will also take practice. I’m pretty confident when I say people don’t work on perfecting their grieving for the day they finally get to place a child for adoption; that’s just not how things work. It generally tends to hit you like a ton of bricks. 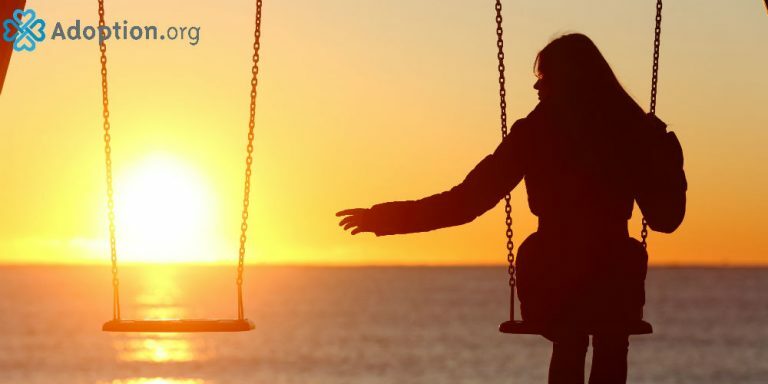 Even if someone has had a string of hard events throughout their life, the grieving process is different for every situation, every personality, and every adoption story. So what can you do about it? How can you keep your grief in check so you can continue to more forward and progress after adoption? Everyone is different, so the same things won’t work for each case. But here are some suggestions to get started. Don’t act like everything is okay if it isn’t. Placing a child has actually been linked to PTSD (Post Traumatic Stress Disorder); it’s a big deal. If you try to keep everything bottled up, your grief can overwhelm and consume you. Don’t be afraid to cry if you need to, or step away from a situation to take a moment for yourself. Allowing yourself to feel can be a huge step in the right direction. Just like they tell you in AA (Alcoholics Anonymous): the first step to recovery is admitting there is a problem. You can talk with a professional. Once you recognize that you’re feeling grief and that it’s something you want to deal with, you can always talk with a professional. There is no shame is getting assistance with the grieving process. I’ve seen tons of counselors and therapists and doctors and gone to support groups. Not all of them were helpful, but bits and pieces can be. They can offer coping strategies that you can try until you find ways that work for you. If you don’t want professional help or you can’t afford it, use your support system to the fullest. Those that helped you through your pregnancy and placement can be of assistance after placement, too. They don’t have to have a degree in psychology and a license in counseling to listen and help you come up with ways to organize your thoughts and feelings. If anything, they know you better and can work with you on a personal level. Never underestimate a friend or family member’s desire to help you. Remember you can use online support systems too. Adoption.com has a great page devoted to adoption forums and adoption discussions where any member of the adoption triad can make comments and share their stories. You are not alone. Get into other healthy activities. As soon as you feel comfortable with it, immerse yourself in worthwhile activities to help you find positivity. Whether that be through work, school, hobbies, traveling, etc., dive in and give yourself permission be happy. Enjoy the successes you experience, and learn from the stumbling blocks. Dream big, set goals, and celebrate milestones! You deserve to feel accomplished. You can also help others who have been through something similar to you. In fact, you can just look for ways to help anyone with anything you can. Service is one of the most fail-proof ways of pushing past your own grief. If you can focus on making someone else’s grief less of a burden to them, your grief will feel like less of a burden to you. Get to know the adoptive family. My last suggestion would be to get to know your child’s family better. Spend time with them when you all have the time, and try to feel happy for them. You’ve given them a gift no one else could have given them. As you get to know the family, you will grow to love them. As you grow to love them, you will feel happier for them that your child is making them so happy. Knowing you made them so happy will begin to chip away at the grief and replace it with assurance and peace. You may always feel some degree of grief after placing your child; no amount of management and displacement will make what you’ve accomplished easy. But being able to channel it into something positive and helpful can only help. Just remember that it takes time, plenty of practice, and it won’t be a skill set you obtain overnight. Take your time, and know that with the right amount of effort, happiness will come.